Every pet owner knows that their tiny critters need more than just food and shelter. In order to provide the best time for their pets, thoughtful owners invest in various toys and cage accessories. 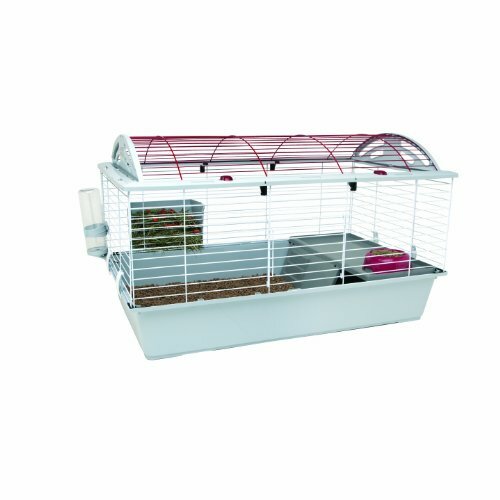 Cage accessories can make living more comfortable for pets and easier for pet owners. Hedgehogs, like any other small pets, benefit from these accessories. Since a hedgehog cage has a lot of floor space, it is highly recommended to put several toys and accessories inside. Aside from making the enclosure look attractive, the toys can provide the adequate amount of exercise that your hedgehog needs. Here is a list of must-have accessories and toys that you should give to your beloved pocket pet. Water is an essential substance for every living thing. Constant water intake is important in order to have a healthy body. It is no different when it comes to hedgehogs. Animals with higher surface area-to-volume ratio such as hedgehogs lose water quickly than their bigger counterparts. Having water readily available will keep hedgehogs healthy and active. Water bottles are a more stylish option than dishes for keeping pets dehydrated. They are easier to clean too. Unlike bowls, they don’t take up floor space meant for the hedgehog since they can be mounted on the enclosure. They are also relatively cheap. This accessory helps you store drinking water. You can attach it inside the cage, making the water more accessible to your hedgehog in case he needs to take a sip. Water bottles usually come in glass or plastic variants. The latter is the more common and easier to find than the former. If you are planning to use this, make sure that you train your hedgehog on how to drink from the metal tip. It is also important, as a recommended safety precaution, to replace the water bottle on a regular basis. Some hedgehogs, such as very young ones, may find drinking from water bottles difficult. For this reason, it may be better to stick to water bowls.Water bowls are messier and need to be checked more frequently to ensure that they are clean and full. There are also different types of bowls and choosing the right type is important. Some types like the ones commonly used for reptile terrariums save space but are more expensive and more difficult to clean. There are pet owners who use ramekin dishes as water bowls since human-grade dishes are guaranteed safe for pets. However, ramekin dishes are considerably light and can be tipped over by hedgehogs. In any case, no matter what type of bowl is used, it is important that it is checked regularly. This is where you place your pet’s food. For baby hedgehogs who do not have the capacity to drink from a water bottle, you can also use this to help them drink. Food bowls come in different shapes and are produced from various materials. Most pet owners prefer to use the stainless steel variant because they are more durable and easier to clean. The bowls should be placed on a slightly elevated ground so that bedding materials will not contaminate it. It should also be glued to a specific spot so that it will not move around too much. Do not purchase a food bowl that is too deep, so that water will not enter the hedgehog’s snout and lungs. A good heat source is essential in maintaining your hedgehog’s health. There are a variety of options to choose from. One of them is a heating pad. You can easily slip this device near your pet’s sleeping area but make sure you adjust its temperature so that it will not become too hot. You can also use heat lamps that have a red bulb. They only require a low voltage and they do not overheat. When a hedgehog gets burned, there may not be any visible marks. However, that does not mean that they are not hurt. Damage usually occurs in their internal organs, so you have to make sure that the heating pan has the ideal temperature to make them comfortable. Having litter pans is optional for hedgehog owners. Some hedgehogs prefer to not use litter pans anyway, despite efforts to train them. Nevertheless, having a litter pan and potty training pet hedgehogs are worth a try. It could potentially save time and effort from cleaning. Potty-trained hedgehogs also mean fewer bedding required. The training itself could improve relationship between pet and owner. Because there are hedgehogs reported to use litter pans with no prior training, some owners will not experience the frustration and eventual achievement of successfully training their pets. A litter pan should be stooped low so that your hedgehog can easily climb it. It should also be spacious enough so that they can easily move around and get out if necessary. The most ideal litter pan that you can use is a ferret corner because its back and rear sides are high, while its front is slightly lower. Some hedgehogs automatically use a litter pan the moment that they see it. However, others may need a little bit of coaxing and motivation to entice them to come near it. In order to entice them to try the litter pan, make sure that you clean it thoroughly and regularly. Hideouts are very important for hedgehogs because they easily get stressed. Small enclosures can help them relax and protect themselves from any potential threats. This could be a small box, log, artificial tunnel, or someplace where they can fit. Despite being more or less active in the day,hedgehogs are primarily nocturnal. It is important to respect the privacy of hedgehogs during the times they want to sleep in the day. Harsh lighting can disrupt the sleeping patterns and make hedgehogs grumpy. Hedgehogs will surely appreciate hideouts such as sleeping bags, igloos, boxes, and logs. Hedgehogs love to sleep in soft and warm areas. You can create your own hedgehog sleeping bag by filling a fabric cloth with wood shavings. But if you notice that they like to sleep on their hide-out, you do not need to give them a separate sleeping area. These are plastic accessories that make a great addition your hedgehog cage. Its snug cave-like structure will surely make your pet feel safe and relaxed once he enters it. During the cold seasons, these animals tend to pull their sleeping bags inside this enclosure so that they can get more warmth and sleep well. One of the highly suggested hedgehog cage accessories are cage wheels. They are an exciting addition to the pet’s routine and will promote a healthy lifestyle. Aside from digging, another activity that your pocket pets love is to run around in a wheel. In fact, they enjoy it so much that they can even run up to 12 miles every night. Not all wheels will do well for hedgehogs because of how small their feet are. The ideal diameter of a hedgehog wheel should be around 11 to 13 inches. Its width, on the other hand, should measure at least 6 inches. Do not buy wheels that have spokes because they can damage your pet’s feet. Wheels pose another challenge to owners, however. Some types of wheels are difficult to clean, and hedgehogs can grow the habit of pooping while running. Nevertheless, wheels are essential to keep pet hedgehogs happy and active. They enjoy playing with brightly-colored toys that produce funny sounds. Make sure that the toys that you give them do not have any detachable parts that are easy to swallow. This plastic tube can be bought in local hardware shops. Before you let your hedgehog play inside the PVC pipe, clean it thoroughly and check if the insides have any sharp edges. The pipe should at least be large enough for your entire hand to fit in. Getting your hedgehog out of there can be really difficult if the PVC pipe is too narrow. This accessory is usually made of wood. Huts are small boxes where your pet can rest though most of the time; your pet will treat it as a litter box. Once the wooden box gets soiled, it will be very difficult to clean and sanitize them. In order to prevent germs and bacteria from spreading inside the cage, it is imperative that you throw the wooden box immediately once it becomes extremely dirty. Hedgehogs are creatures that are very easy to please. In fact, a simple toy such as a toilet paper tube will surely make them jump with delight. Before you let your pet play with this toy, snip the tube lengthwise in order to prevent his head from being stuck. Hedgehogs also like to hide in leather shoes so you can place one of your old leather shoes in the cage. To keep your hedgehog pet busy and happy one needs to have these accessories on their cages.